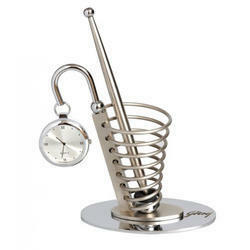 Our range of products include pen stand with watch, golf pen holder, lion pen stand and spiral pen stand with clock. We are enlisted as top company involved in offering a wide range of Designer Metal Desktops. 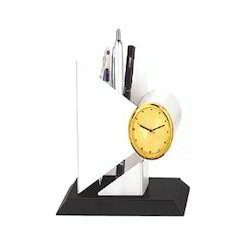 These are designed by our highly skilled professionals keeping in mind the traditional as well as contemporary design.The Unique Desktop Sets contains the premium wood and metal finish desktop sets, clocks and magazine holders. 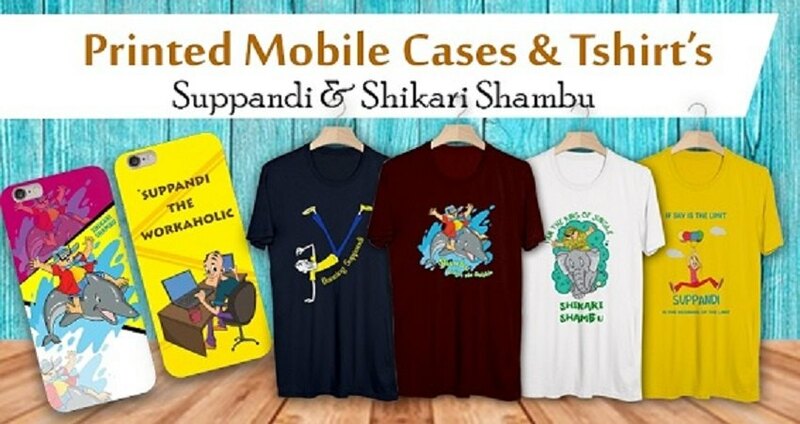 Our range of gifts is widely appreciated by our clients which are situated all round the nation. We offer our range of Unique Desktop Sets at most affordable prices. 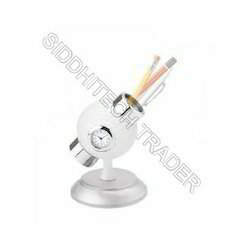 These are widely used and also enhance the decor of the place where these are used. Additionally, we offer our products at reasonable prices in market. 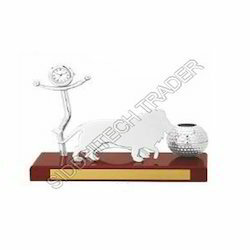 We have gained deep expertise in this domain as eminent manufacturer and supplier of a remarkable range of Golf Pen Holder. Our employees are cautious about the customers' demands and craft these chains using optimum quality metals such as steel, iron & brass. Clients can obtain these chains from our company in attractive colors, customized designs and eye-catching look as per their needs.